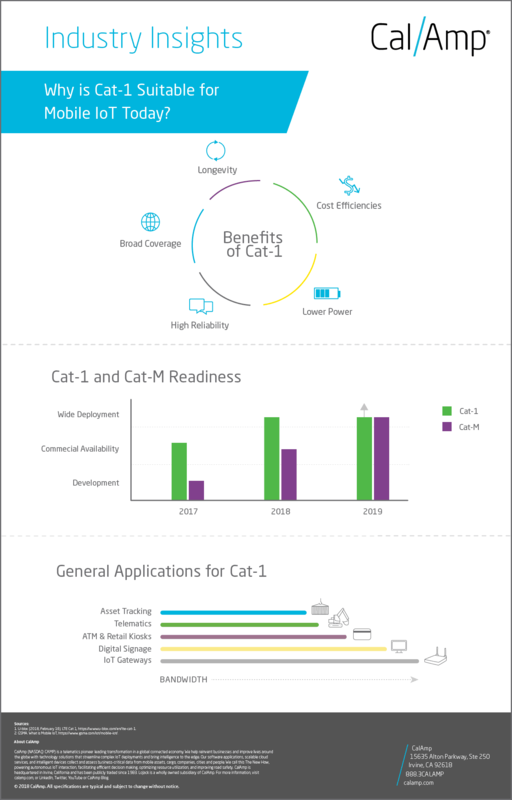 Why is Cat-1 Suitable for Mobile IoT Today? As the IoT market continues to accelerate, businesses are looking to 4G LTE for its ability to offer cost efficiency, lower-power requirements and wide-area network solutions to improve and scale their IoT deployments. For certain telematics use cases, established technologies like 4G LTE Cat-1 strike that perfect balance for Mobile IoT.